As I sit and write during our second May Homebrew Website Club Baltimore meetup I’m struck by the realization that I’ve failed to post to my site in over a month. Our last HWC meetup was disrupted by lack of internet and severe weather, and I said that I’d surely write something before this session. Alas, I haven’t. Instead of writing more about my content development shortcomings, I’m going to use this time productively and write about what I’ve been up to in the last month! I’ve been quite active in my web pursuits while being quite inactive in documenting them. This post is going to serve two purposes: 1) Briefly recap my experience at the Infosys Foundation USA CrossRoads 2018 Conference, and 2) discuss what work I’ve been doing lately. Let’s dive in! Last week I had the opportunity to travel to Scott Valley, California to represent Digital Harbor Foundation at the Infosys Foundation USA CrossRoads 2018 Conference at the 1440 Multiversity. While DHF has participated for the last two years, this was my first time attending. We received an InfyMaker Award for our Tech Coach project, and Rhea and I attended CrossRoads 2018 to represent DHF as award recipients. 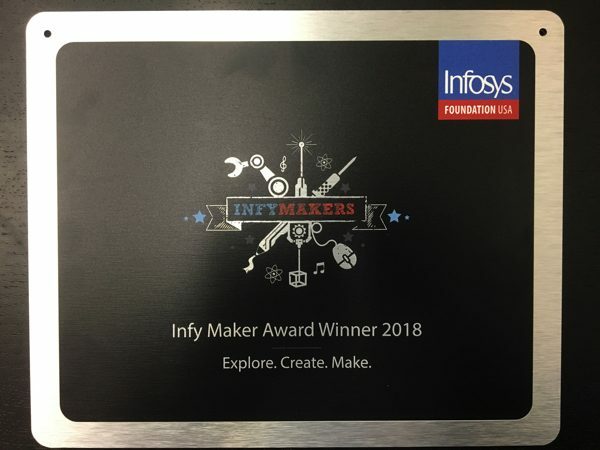 InfyMaker Award Winner 2018 — closeup of the physical award Digital Harbor Foundation received. The conference agenda was packed with sessions from 8:30 am – 9:30 pm, with a community breakfast every morning at 7:00 am. The restorative nature of the venue made it so that the full schedule never seemed to be too overwhelming. I attended sessions (mainly panel discussions) from a mixture of the Making, Community Building, and Computer Science tracks. The work we do at DHF is at the cross-section of these areas so I wanted to attend as much of a variety as I could. It’s difficult to recap all of my learning in this single post without much more refined reflection, but I’m going to try to touch upon some key areas. I took nearly 30 pages of hand-written notes but I haven’t had a chance to digest them yet. Hopefully, this post will serve as a catalyst to get me back into the reflection mindset! One of my core takeaways from #InfyXRoads is the importance of contextual interaction and engagement with the world via technology — whether this is through the humanities, storytelling, narratives, design — and the necessity of teaching the value of these interactions. Several sessions I attended from both the CS and Making tracks emphasized this point. 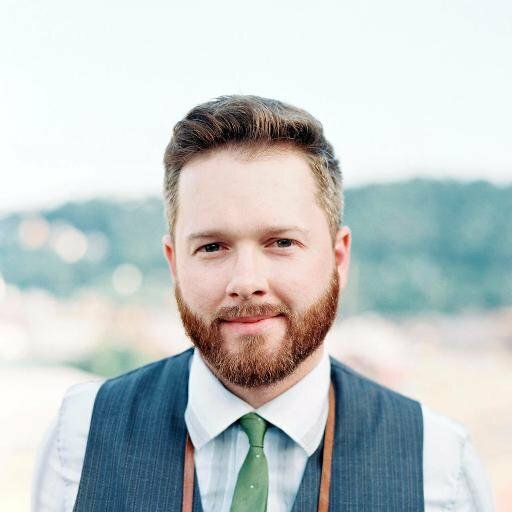 Kipp Bradford, an incredibly inspiring and brilliant engineer and educator, delivered a plenary keynote session called Context is Everything that was about this very topic. Kipp had emphasized that there is such an importance of designing and engineering for humanity and we should strive to think of how what we design and make benefits humankind. The overview for the keynote described it as emphasizing the importance of arts and humanities education in STEM fields, especially engineering. Considering that my formal education background is in liberal arts (Philosophy and History double major) this is a topic that greatly interests me. I’m often asked about how my education background informs my current career choice. I always emphasize that studying the humanities taught me how to learn quickly and analyze what I engage with as a learner and that these skills have been crucial to the development of my technology skills. After attending Kipp’s keynote I thought about why I’m so drawn to user experience as a field. We often encourage a focus on “human-centered design” without necessarily thinking much about what this actually means. Sometimes it’s a quick gut-check that we’re creating a solution that actually benefits a user. Other times it’s a reminder that we should have continual touchpoints with the audience we’re designing a solution for. These are all incredibly important aspects of the process, but it also means thinking about the human context of what we create. There is one aspect of focusing on micro-level usability and accessibility of a webpage, but then there is another aspect of thinking about the impact that access to the site you’re making has on individuals on a macro-level. The latter point is what motivates and drives me to learn and expand my horizons in technology — I want to use what I learn to benefit others through technology. I strive to always have the impact of these choices at the forefront of what I do. Kipp’s keynote provided a framework to think through the importance of this approach. 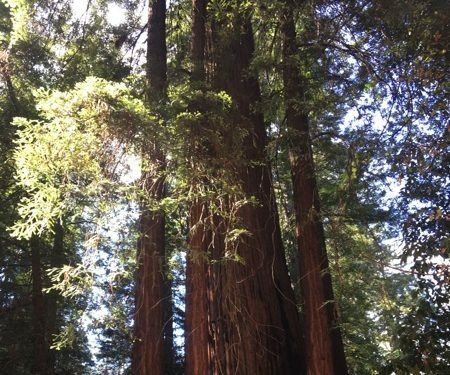 This is a photo I took of the Redwoods at 1440 Multiversity. My second key takeaway extends from the first. I attended several sessions in the Community Building track and had some great conversations stemming from the topics of accessibility and inclusion. This is an on-going (and critical) conversation in the tech industry, and I came away from the conference even more passionate about increasing access to education (especially technology education). One thing that struck me is that while focusing on digital inclusion and creating accessible tech content for diverse audiences, I often overlooked one of the most crucial barriers to education: Internet connectivity. Too many regions lack connectivity. I’m a big supporter of using the Internet as a platform for delivering tech education content. However, I realize how much more needs to be done to increase access. This is a massive issue with work being done by some passionate folks, but I also realize that I can personally do more. I wrote earlier about one aspect of UX design that interests me is always trying to create more accessible and usable web interactions for a variety of audiences. However, all the work I’d do still required someone to be able to connect to the page (and increasingly important, on a fast connection). Through the work I’ve been doing with GatsbyJS I’ve discovered that Progressive Web Apps and Service Workers help create a wider level of access for users. I’ll be writing another post about all the things I’ve done with Gatsby in the last month, but for now, I just want to emphasize that I’m excited to continue working in this area. I’m continuing to explore PWAs and Service Workers as a way to broaden participation in the web. While this won’t necessarily solve any core issues stemming from lack of internet access, I can certainly chip away at it and make sure that I do my part to help where possible. Dr. Jamika Burge, in her excellent plenary keynote Deliciously Recursive: Applying CS Learnings to Equity Issues in CS Education, said that designing with accessibility in mind benefits everyone. The more that web developers and content creators design with PWAs and slow connections in mind, every user benefits. I started this post by mentioning how the previous HWC meetup was disrupted by a lack of internet connection. This was definitely a nuisance, but it was merely a tiny blip in our consistent high-speed access. Dr. Burge mentioned that we tend to take connectivity for granted until it’s obvious that we don’t have it. For me personally, internet connectivity is nearly ubiquitous and guaranteed and I only notice it when I lack it. Even though I have access to the internet 99.99999999% of the time, I’m struck by the inconvenience of not having it. This is very apparent if you travel as a group into an area where such connectivity is not so omnipresent. Everyone suddenly has the sensation (and panic) of being unable to connect. I now realize how much I take such connection for granted and want to use this as a chance to reflect on how I can play a larger role in creating content that can be available offline. I’ve recently become interested in web optimization and I realize that optimization is a core aspect of designing for broad audiences. If a site is serving massive images it’s potentially causing financial damage to someone by eating up their entire data plan. These ethical considerations are part of the human context of web design, and I’m glad to be learning more about it. I have lots more to write about these topics and will (hopefully!) use this as a catalyst to start reflecting and writing more regularly.